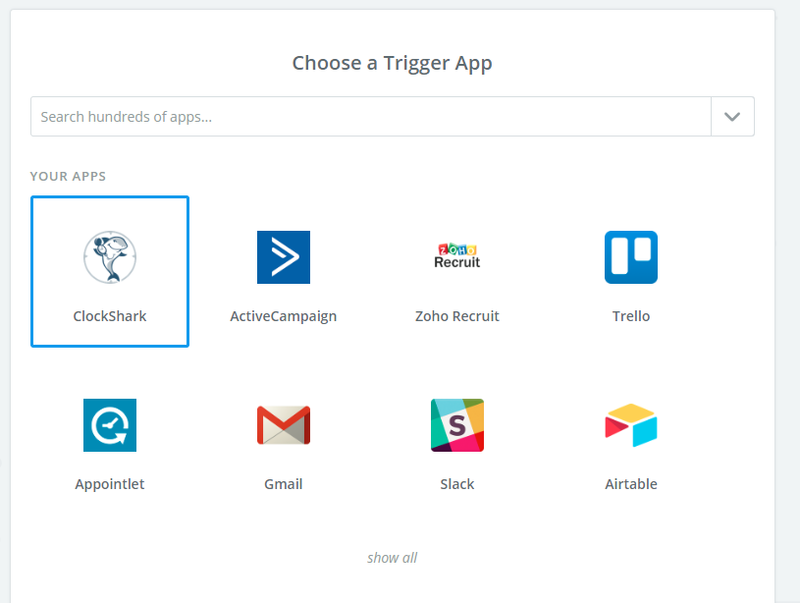 Zapier allows you to link apps together, and pass information between them. 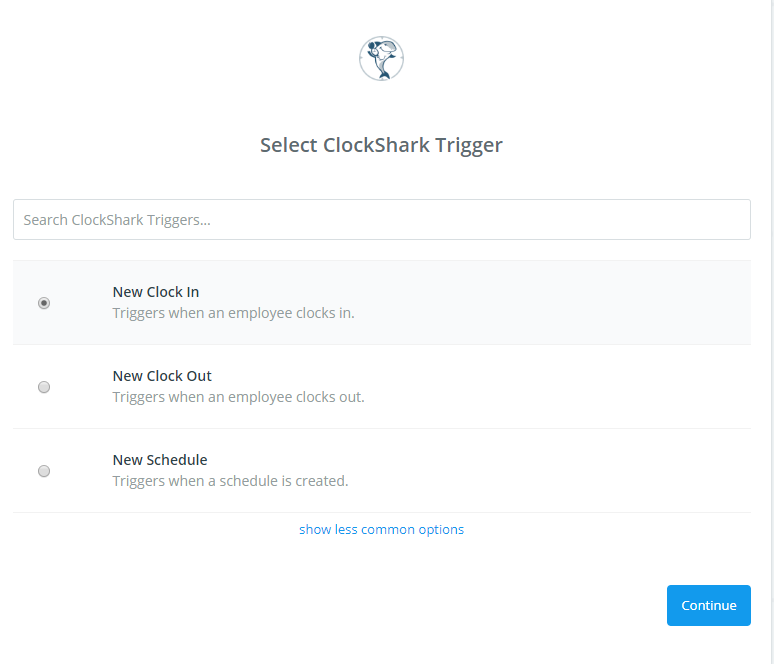 ClockShark's integration with Zapier permits users to create custom events when things happen in ClockShark. 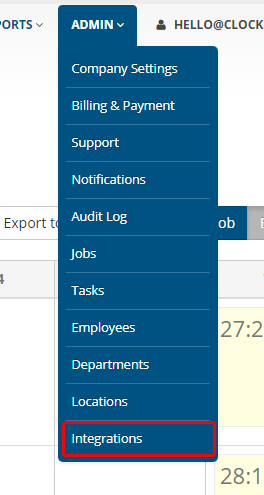 You can find the integrations under the Admin Menu. 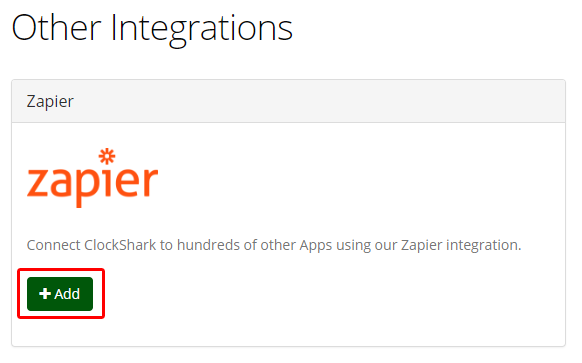 Find the Zapier integration under the "Other Integrations" section and click on the "+ Add" button. 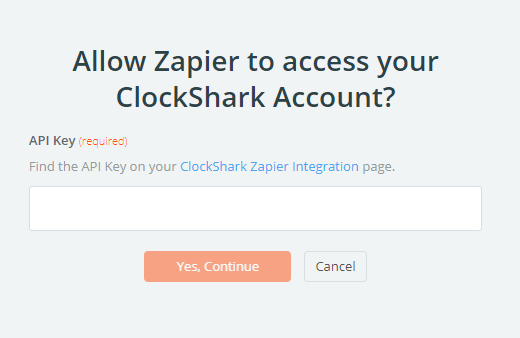 Click on the "Generate Zapier Api Key" button. Copy the newly generated Api Key and paste it into Zapier to connect the accounts.